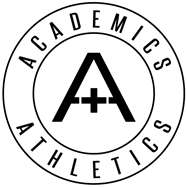 A+A is a national Leader in Sports Education connecting high achieving student-athletes and America’s most prestigious academic institutions. “A+A’s network of elite coaches and its partnerships with top preparatory schools will allow Jr. Wolfpack players real first points of contact in the recruitment process and will provide access to the best possible facilities and highest caliber of competition. The Jr. Wolfpack’s commitment to long term athlete development which focuses as much on academics as it does athletics is what sets them apart from other programs in New England. For the Jr. Wolfpack, “winning” is about transforming the futures of its athletes - not the result on a scoreboard.” J.R. Carrnegie Hargreaves – A+A Founder. The Wolfpack are thrilled at the doors this new partnership will provide its players and families. “So many programs claim to advance players to prep school or college, but it’s mostly smoke and mirrors. 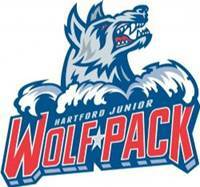 We are thrilled to have A+A open doors for our families that may otherwise be shut at institutions such as Yale, Penn, Brown, Phillips Andover Academy, Deerfield Academy and Hotchkiss to name a few.” Adam Boston – Hartford Jr. Wolfpack.